Virtika is a 8 year old girl. She is one of 4 children living in very poor circumstances. Her father works a small piece of farm land to feed the family and to earn a small amount of cash to meet their needs. School fees and costs are an impossible struggle. 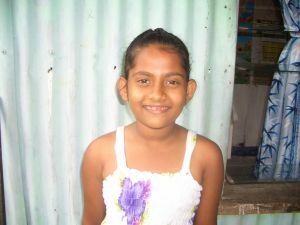 Virtika enjoys attending school and her favourite subject is maths. Virtika travels to school each day on foot walking around 1.5km each way. When she grows up, Virtika wants to be a school teacher. Virtika is from a very poor family. There are four children attending school. Her father is working alone on the farm which makes life very hard.